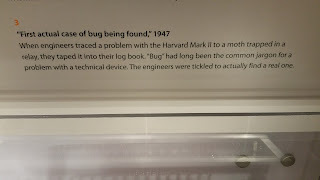 The Computer History Museum in SF was great! It was a bit of a random stumble during a trip along the West Coast a few weeks ago, but it left a memorable trace! 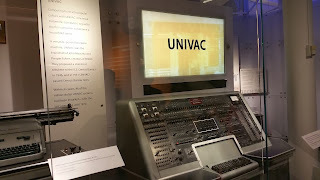 The collection of artifacts is quite amazing: name just about any time in computer history (ancient history included) and any famous computer (Babbage Engine, Eniac, Enigma, Univac, Cray, etc.) 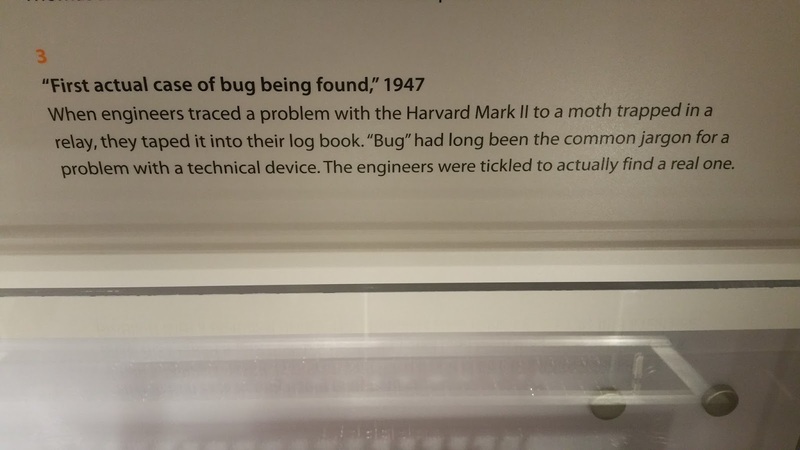 and some part of it is very likely at this museum. 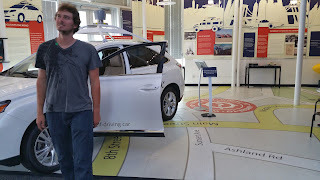 We totally assumed the museum would be a 2-hour stopover on the way to other SF sights, but ended up staying until closing, without even having covered all of it. 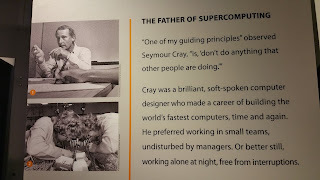 As a teaser I include a few random bits of the museum that caught my attention (I may have been too engrossed in the rest of the museum to remember taking pictures). 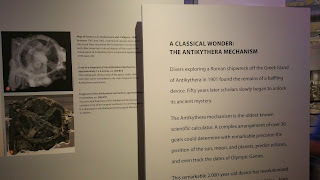 One of the oldest "computers": Antikythera mechanism - had never heard of it before! The Ancient Greeks continue to impress! 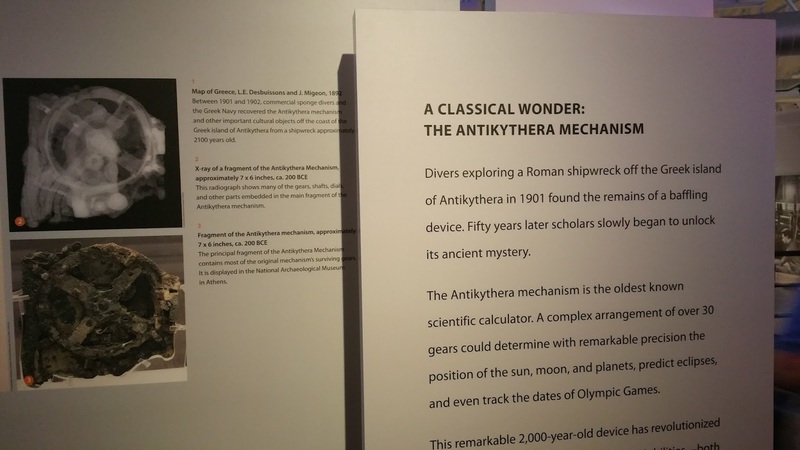 Shows another timeless quality of humanity: our technological innovations are consistently driven by our need for entertainment (in the case of the Ancient Greeks, such innovations can be linked back to scheduling the Olympic Games). At this museum, there was a full gallery devoted to old calculators and various mechanical computing implements from different cultures. 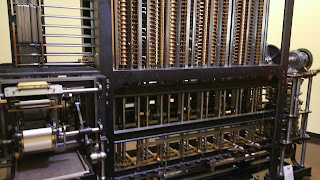 A fully-working constructed version of Babbage's Difference Engine - completed in 2008 according to Babbage's original designs (which apparently worked like a charm without any modification!) 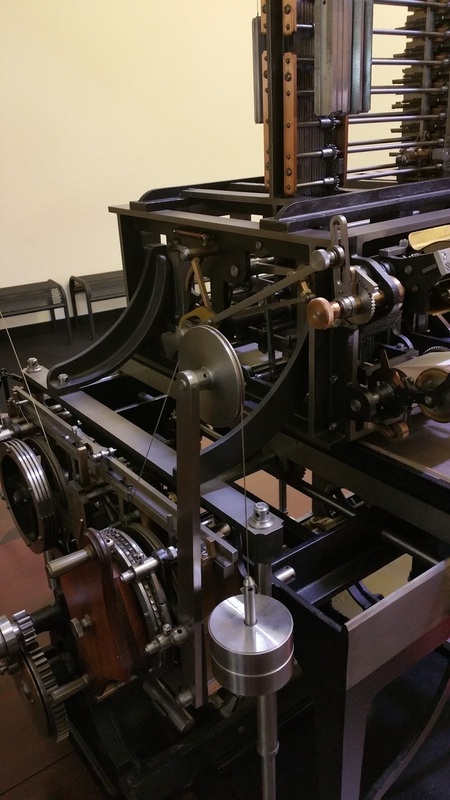 Museum workers crank this mechanical beast up a few times a day for the marvel of the crowd. 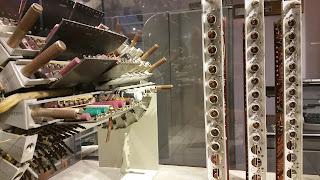 Once set, this machine can compute logarithms, print them on a rolling receipt, and simultaneously stamp an imprint of the same values into a mold (for later reprinting!) 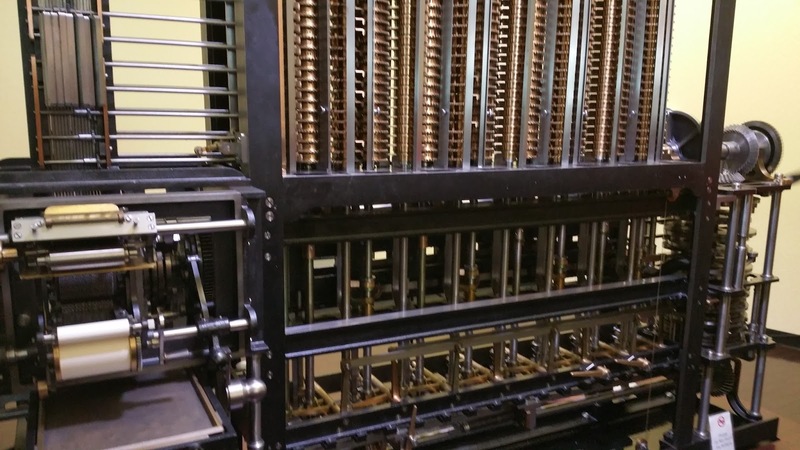 Babbage also thought of what happens when the imprinting fills up the whole mold - a mechanical mechanism halts the whole process, so that the tablet can be replaced! That's some advanced UI, developed without any debugger or user studies. There was also a whole gallery devoted to robots and A.I. (an impressive collection), a gallery devoted to computer games, and a gallery devoted to the Apple computer just to name a few. 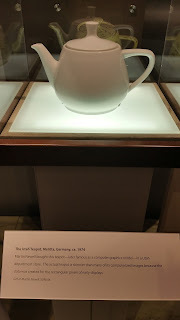 That's about the extent of the photos I took, because photos really fail to convey the environment that a museum surrounds you with. 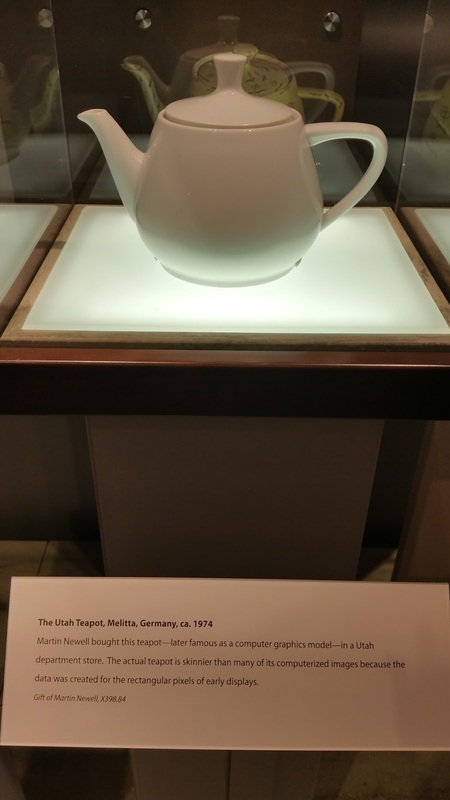 It is a museum I would gladly recommend! 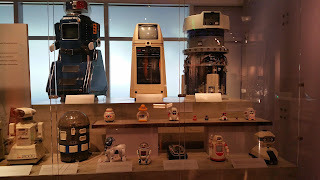 As an after-thought, it's interesting to visit a "history" museum where you recognize many of the artifacts. Gives you a sense of the timescale of technological innovation which continues to redefine what "history", "progression" and "timescale" really mean... notions that we have to regularly recalibrate to.